Estherfgoldberg | Counseling for Individual Adults and Couples. I am a Licensed Professional Counselor who has been providing psychotherapy services for clients in Southern Oregon since 1997. I am a Licensed Professional Counselor who has been providing psychotherapy services for clients in Southern Oregon since 1997. I currently practice in Ashland and Medford. My approach is eclectic. I am influenced greatly by cognitive behavioral therapy, family systems theory and humanistic psychology. I believe in the essential wholeness of each and every human being and understand that through a committed process of exploring one’s self, a person may gain increased awareness of self and others. Through awareness comes motivation for change, as well as a deepening sense of self acceptance. In the course of exploring both the past and present I will help you begin to understand how these experiences and beliefs affect your perception of reality and your patterns of response to it. We will work together to create the best possible outcome for you. 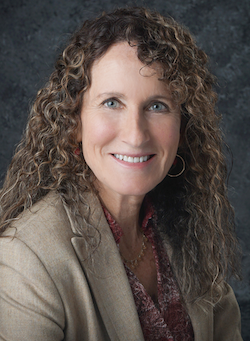 Esther F Goldberg has been a partner with AllCare Health since 2009. © 2019 Esther Goldberg, LPC. All rights reserved.